Personal loans are only one of the many kinds of loan. Each kind of loan has its specific use, and it is designed for a specific purpose. To illustrate, car loans are not made for mortgages, especially since real estate property often appreciates in value while cars generally depreciate. It is important to know what kind of loan is designed for what type of need, and confusing purpose and need is equivalent to getting deeper in debt rather than getting out of it. Personal loans are the easiest to get, making it even more important to be thoroughly informed about this kind of loan. A personal loan used to be known as a character loan or a good faith loan. In making this type of loan, you are telling the lender or the lending institution that you value your character, your person and your signature far more than the amount of money you are borrowing. All it takes is a promise to pay at a certain date, with no collateral whatsoever, and the lender loans you the money. It is that simple a transaction, and if the lender does his homework and you hold on to your promise, business is concluded as soon as the money plus a slightly higher rate of interest is received. When Do You Need a Personal Loan? Knowing when to apply for a personal loan is a different matter altogether. Definitely, personal loans are best taken when you are short of cash, since it is easy to get them. But it still depends on other variables, such as your cash flow, your other debt commitments, and the like. Think of personal loans as the jar you are supposed to put money in for the rainy days just like your mother taught you to do – only that you don’t have the jar or the money. You know how slowly that jar would fill up if you were the one filling it up, and only you would know when to use the money if you did have the jar. 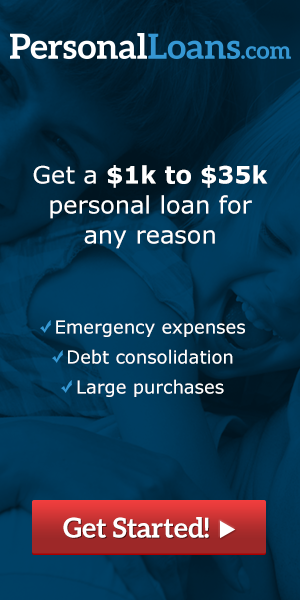 Financial experts recommend using personal loans only for emergencies such as medical expenses. Personal loans are made not to pay off other debts or to buy that gadget you’ve had your eye on for a while now. Personal loans are for rainy days, and if it isn’t raining cats and dogs, then it is best not to take out a personal loan. Why Make a Personal Loan? No matter how well you plan your life, problems do arise. Your checking account might always be balanced to the thousandth of a cent, your credit score as good as you can make it, but there will be always something that messes things up. When life cooperates with your plans, all is well and good, and there is no need to apply for a personal loan. But when things suddenly make a turn for the worse, it never hurt anyone to have a backup plan. And with regard to your finances, personal loans are exactly that.